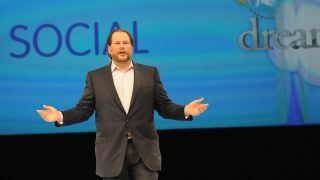 On the opening day of its annual user summit, Salesforce has launched two products designed to provide business users with faster access to data on mobile devices. The Salesforce Customer Success Platform offers enterprises access to customer engagement records on mobile devices via the Salesforce1 Platform. The tool can be leveraged to deliver marketing campaigns, sales pitches and customer service resolution through mobile business applications. Salesforce launches Salesforce1 last year to help its customers develop, market and sell sales, service and marketing apps. The San Francisco-based CRM company has built out the tool to provide sales representatives with the ability to send one-to-one marketing campaigns, to plan extended campaigns and access real-time performance data, all via mobile devices. Salesforce has also launched Wave, The Analytics Cloud, a platform built to offer performance analytics for sales, service and marketing apps. The tool features a search-based data query that is meant to give employees access to information without having to rely on IT. Wave is built to be responsive, so users are meant to be able to measure, group, filter, view and share data on any device without sacrificing interface quality. Wave is available for $250 per month for developers and $125 per month for users.